@thinkgeek NYC store opening May 13th, 2016 ! « Adafruit Industries – Makers, hackers, artists, designers and engineers! 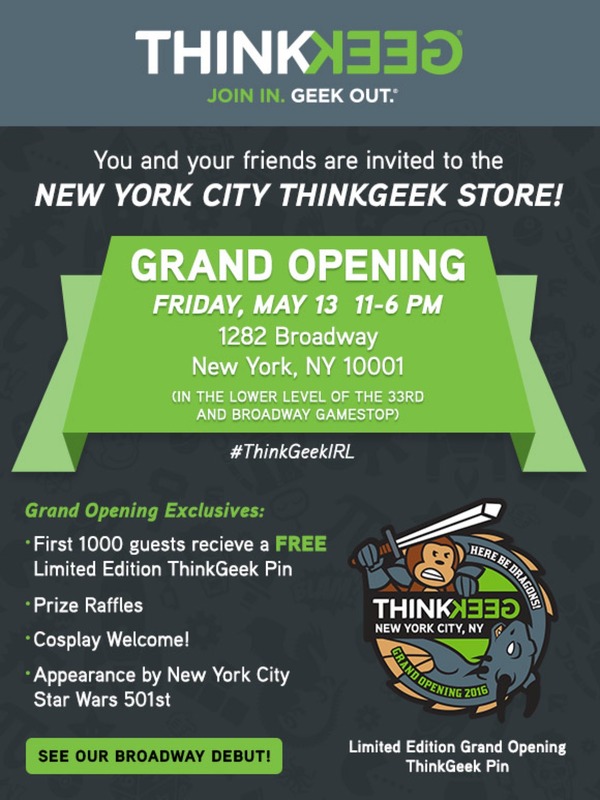 @thinkgeek NYC store opening May 13th, 2016 ! Officially opening on Friday, May 13th, 2016. Only a short walk from Times Square (or maybe a huge jump if the thought of Times Square brings out the Hulk in you). Comments Off on @thinkgeek NYC store opening May 13th, 2016 !